16" x 20" 18" x 24" 20" x 30" 22" x 28" 24" x 36"
These edge lit movie poster snap frames are an excellent choice for advertising in malls, theaters, hotel lobbies and other open areas. 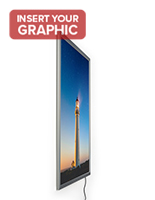 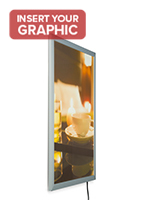 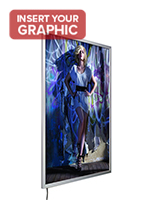 The displays feature LED lights for illuminating graphics with an average rating of 1500+ lux. 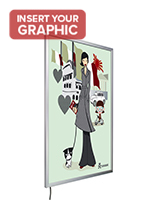 This type of movie poster snap frame is made to mount to walls and can be showcased in either a landscape or portrait orientation. 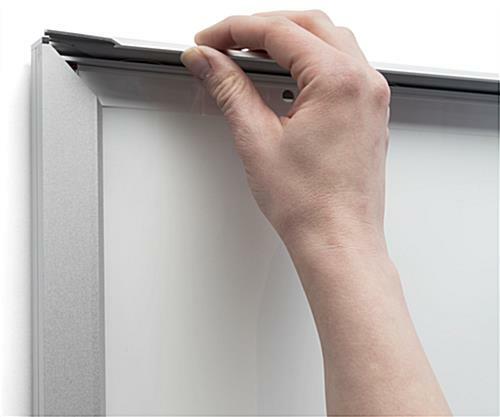 A great feature of the unit's LED lights is their energy efficiency that can save any company money on their electric bill. 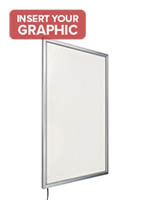 In addition, the portrait/landscape snap frames have an easy-change design that allows users to switch graphics while mounted. 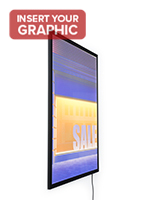 The advertising displays have a durable aluminum construction with a sleek silver finish for any location. 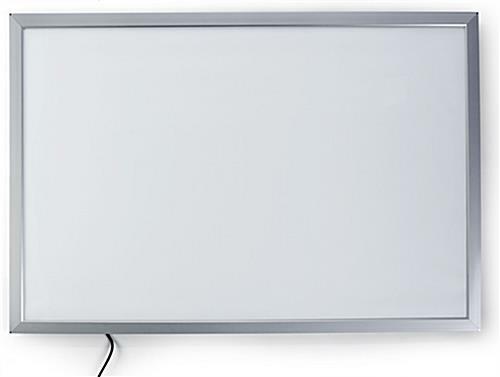 28.5" x 41.5" x 0.75"